An aircraft is a complicated asset to operate and maintain and requires a solid team of domain expert professionals to manage it. The Ministry of Civil Aviation has been recently working on a proposal to allow aircraft management companies to manage aircraft which can be operated for private or for charter. Aircraft management is a popular service availed by aircraft owners worldwide, but not implemented in India so far. Per DGCA, the aircraft owner should be responsible for its operation and cannot outsource it to any third party professional firm. The existing thought process is that this structure creates more accountability with the aircraft owner. However, I think otherwise. Aircraft ownership is unlike car ownership. An aircraft is a complicated asset to operate and maintain and requires a solid team of domain expert professionals to manage it. Very few aircraft owners can establish such a team. Hence allowing professional aircraft managers to manage private aircraft can only benefit all stakeholders – DGCA, aircraft management companies, aviation professionals as well as the aircraft owners and following are my arguments. But first, I’ll cover some background. 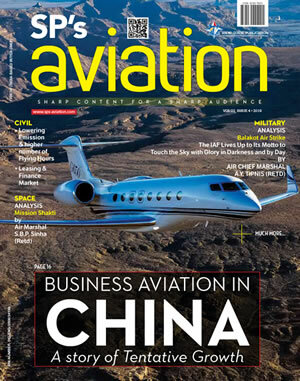 Due to highly fragmented nature of the business, governing general aviation industry in most countries is highly challenging for the aviation regulators. The situation is same in India as well. Per DGCA data, there are 109 registered Non-Scheduled Operator Permit (NSOP) holding companies which operate 346 airplanes and helicopters in India. 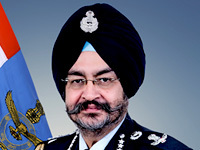 Thus India has an average of three aircraft per NSOP company. If we exclude large helicopter operators (fleet size of more than 25) such as Pawan Hans and Global Vectra, this average falls down to 2.5 aircraft per NSOP. The number is less than two for aircraft registered under private category. This creates a huge problem for the DGCA to oversee and regulate the maintenance and safety activities of more than 100 operators as the organisation is already stretched for manpower and resources. On the other hand, apart from a handful of charter operators, most of the NSOP companies are owned by large corporate companies. Establishing and operating an NSOP with its own team of industry experts for one to two aircraft is not a preferred method of operating an aircraft for the companies due to extensive regulatory compliances and organisational set up. However, they do this because of taxation, which is another topic of discussion. As a result, DGCA is required to monitor and audit more 100+ organisations which consumes significant resources, which the regulator lacks. Moreover, only few NSOP companies are managed in the most professional and organised manner. There is a lack of experienced and professional accountable managers who can maintain the NSOP companies to the highest compliance levels. The parent corporate companies don’t always prefer spending resources behind hiring and managing an able team of professionals. Therefore in many companies safety oversight could occur and quality of services to the aircraft owner is not always at the most desirable levels. Better regulatory oversight: In case an existing NSOP holding company, private owner or a new aircraft owner chooses to outsource its aircraft operation to a professional aircraft management company then all operational and regulatory compliances pertaining to the asset would be the responsibility of the aircraft management company and not directly of the aircraft owner. As the aircraft owner is saved of all the operational hassles of maintaining an NSOP, which is not its core business anyway, then majority of the aircraft owners would opt to outsource their operational responsibilities to professional aircraft management firms. Doing this would significantly reduce the number of companies that DGCA would have to audit and monitor on regular basis. This will tremendously reduce DGCA’s work load and lead to better regulatory oversight of few companies managing large number of aircraft on behalf of their owners. Ease of compliance: Managing compliances such as liaising with regulator, managing third party contracts, ensuring timely maintenance and preparing up-to-date documentation is a huge task for any aircraft owner and not its core expertise. Whereas aircraft management firms have a core expertise in managing complex aircraft operations and maintenance management. They invest in training and compliances. Such firms have internal processes and team of experienced professionals who can manage multitude of aircraft types and meet their operational and maintenance requirements. Management firms are experienced and well networked in the industry and understand the technicalities and nuances when dealing with the regulatory agency and various service providers. Efficiency of scale and resource light solution: There are several companies which operate similar type of aircraft. Currently all companies have teams which use different types of operational, management and financial systems. Now say five companies use one Gulfstream model aircraft and each company has its own set of flight crew sets, maintenance engineers (if not outsourced), procurement and quality control and administration staff. An option for all the aircraft owners could be to outsource their aircraft to aircraft management company. The aircraft owners need not hire pilots, procurement, quality control and administration staff. With right contractual framework and KPIs (aircraft availability), the aircraft manager would be responsible for hiring qualified staff to support five similar type of airplanes and make the airplane available to the owner whenever she/he needs to use it. In such cases, the number of flight crew could be optimised to service five airplanes, just like in an airline. The same set of quality and administration teams could service five airplanes instead of each team supporting just one. Further, most aircraft management companies receive discounts on fuel, training, maintenance, and insurances which leverage the volume of multiple clients and can be passed on to the clients. Finally, as aircraft management companies need to have CAMO organisation, the maintenance can be coordinated across its network of maintenance agencies thereby leveraging availability of maintenance slots. Transfer of knowledge and best practices: Typically large aircraft managers operate similar fleet as well as various other types of aircraft. As a result, they come across several operational and maintenance issues, which increase their knowledge base and experience of solving various types of problems. 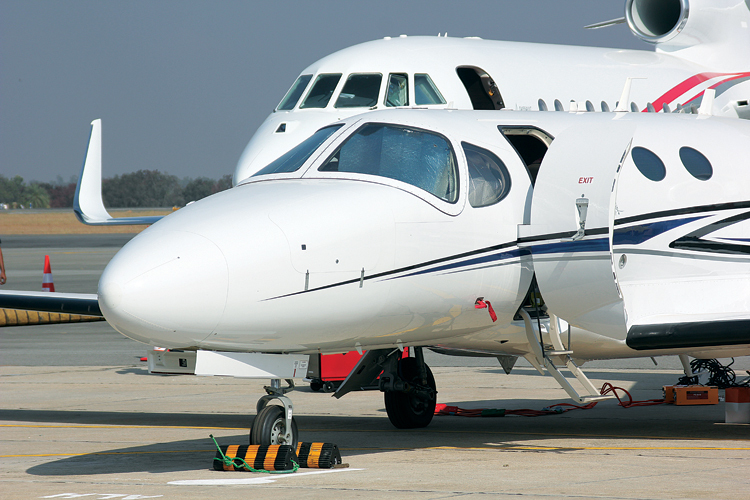 Say a firm notices a particular technical or operational problem on a Cessna aircraft which impacts dispatch reliability. The firm can take proactive actions such as storing a replacement part or taking specific troubleshooting actions when they start seeing similar problem on other similar model Cessna aircraft in its managed fleet. Thus the knowledge transfers from one airplane to the rest which currently cannot happen in case of individual owner operators. Aircraft owners should do a thorough due diligence on the quality of aircraft management firms before they hand over their asset to the firm. 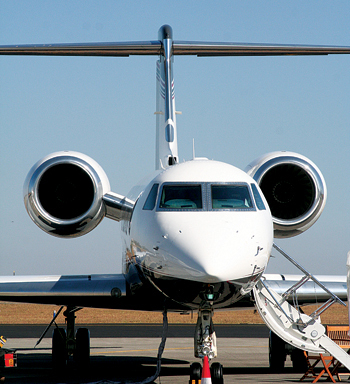 Opportunity to charter: One of the key capabilities of aircraft management firms is that they are also aircraft charter brokers and are well networked within the air charter community. Such firms can market the aircraft for third party charters when the aircraft owner is not using it. This creates revenue opportunity for aircraft owner and helps to cover some portion of the fixed costs such as insurance, pilot salaries (if the crew is on the owner’s payroll), finance costs etc. 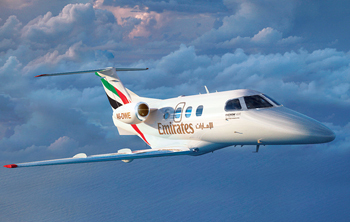 Better maintenance of asset quality: An aircraft owner expects that the aircraft be available to her/him whenever it is required, the in-flight service is top notch, the overhead costs are controlled and when the time comes to sell the asset or return it to the lessor, the asset resale value is high or the deductions are minimal during lease return. Fulfilling these expectations mean that the asset should well maintained, documents should be well updated and industry defined top standards are followed. A concern that is put forward by one of the key stakeholders is there may be few professional aircraft management companies, their management fees may be disproportionate to the level of services provided. Second concern is over the control of aircraft. Aircraft owners are often advised that once the aircraft is managed by an aircraft manager the owner loses control over the operation of the asset. This advice is not correct. The account manager at the aircraft management company is essentially someone who reports to the aircraft owner and is responsible for making it available whenever the owner needs it and ensuring coordination of operations and maintenance when due. Further, the right contractual framework puts responsibility on the aircraft manager to deliver to the owner’s expectations. In some cases Aircraft management firms are also aircraft sales consultants. This could be disadvantageous to the aircraft buyer as the firm may be biased in selling aircraft of the type that it already manages. 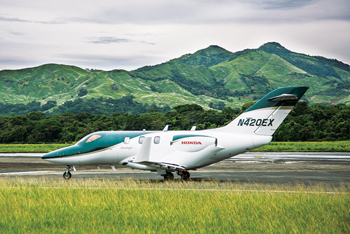 The key motivation would be that when the aircraft is bought, the management firm would get to operate it as it already operates the type in its managed fleet. Hence aircraft buyers should have an independent sales consultant during the procurement process at least to vet the aircraft management company’s recommendations. Aircraft owners should do a thorough due diligence on the quality of aircraft management firms before they trust and handover their expensive asset to the firm. Owners should check the operational history of the firm, qualifications and experience of the staff and quality of internal systems and processes before deciding whether handing over the aircraft to the firm is the best option or to simply manage it by oneself.